BOWIE, Md. - The Altoona Curve completed their 20th regular season with a 17-6 defeat as the Bowie Baysox hit seven homers on Labor Day at Prince George's Stadium. The seven home runs allowed by the Curve (78-60) pitching staff set a new club record while the Baysox (67-71) barrage included 20 hits. Bowie scored 16 of their 17 runs via the long ball. Aderlin Rodriguez hit two three-run homers, one in the first and another during the fourth, before he doubled in his seventh RBI of the game in the sixth. Ademar Rifaela also homered twice, a two-run blast in the third and a three-run shot in the sixth. Rodriguez and Rifaela also recorded four hits apiece and joined Anderson Feliz as hitters to fall a triple short of the cycle. Dario Agrazal (Loss, 5-6) surrendered five home runs in the first four innings of the game as the Baysox jumped out to a 10-2 lead. Bowie went back-to-back twice to account for four of their homers. Rodriguez and Feliz went yard on two straight pitches in the first while Rifael and Martin Cervenka hit back-to-back homers in the third. The Baysox put the game away with a seven-run sixth. Rifaela hit his second homer off Sean Keselica , a three-run shot, while Austin Hays drilled a three-run homer of his own against Sean Keselica. The only run that did not score on a homer occurred a few batters later, an RBI double by Rodriguez. 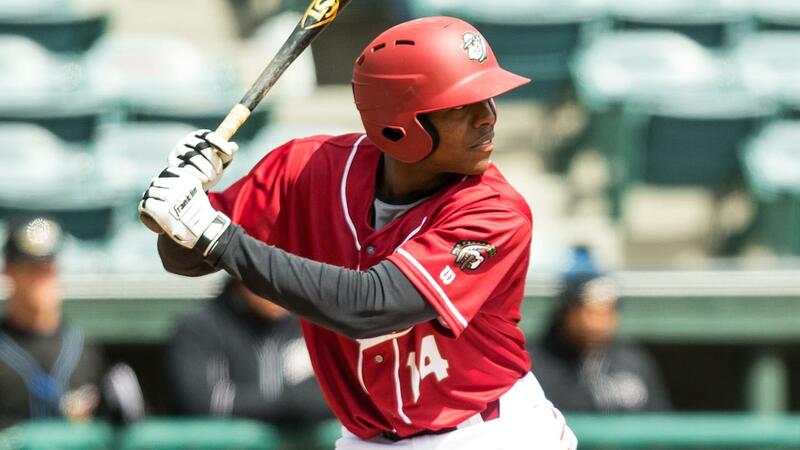 Ke'Bryan Hayes sparked a four-run fifth inning for the Curve with a three-run triple. The three-bagger for Hayes was his seventh of the year to match a career-best total and match five other Eastern League batters to lead the circuit. Will Craig singled home Hayes in the fifth and pulled the Curve within four runs at the time, 10-6. Craig beat out New Hampshire infield and Eastern League MVP Cavan Biggio for the league's RBI crown, 102 to 99. Craig's 102 RBIs are the second-most in franchise history behind Adam Hyzdu's 106 in 2000. Cole Tucker put Altoona on the board with a RBI single in the second inning. Tucker walked and had two hits in the game while he also stole two bases to reach 35 steals on the season, the most in the Eastern League in 2018. Tucker also ended the regular season with seven triples, tied for the E.L. lead. Bryan Reynolds went 1-for-3 to finish the season with a .302 average over 88 games with the Curve. He becomes the 21st hitter in Curve history bat .300 or better with at minimum of 300 plate appearances. Reynolds was replaced by Tyler Gaffney as a defensive substitute in the sixth inning. The Curve have the day off on Tuesday before battling the Akron RubberDucks in game one of the Eastern League Division Series on Wednesday at Canal Park. First pitch for the playoff opener is scheduled for 6:35 p.m. The Curve return to Peoples Natural Gas Field for game three on Friday. For tickets or more information, visit AltoonaCurve.com, call 877.99.CURVE or stop by the PNG Field box office.